The unmistakable, mouth-watering aroma of Colonel Sanders’ secret recipe - now in your fireplace with the KFC 11 Herbs & Spices Firelog. USA -KFC has created a firelog that when burned it creates the smell of KFC’s world famous fried chicken. Yup thats right, you now can burn the press board wood log and it will smell up your house like KFC fried chicken. Just in time for the Christmas Holdays. 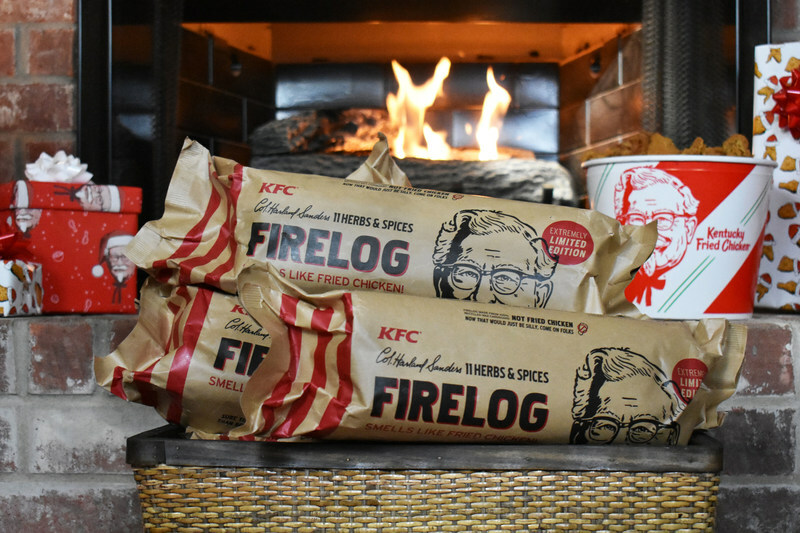 According to a press release from KFC, the KFC 11 Herbs & Spices Firelog is the perfect accessory for any winter gathering, whether you’re spending the holidays with family, friends, significant others, in-laws or bizarre extended family you’ve never met before. The smell of the Colonel’s Original Recipe fried chicken is unmistakable, and according to research reported in Psychology Today, smells trigger areas in the brain strongly linked to memory. Place the 11 Herbs & Spices Firelog in your fireplace and a bucket of fried chicken on your table and your holiday guests will have a warm and fuzzy feeling that lasts all season long. Available for $18.99 while supplies last at www.KFCFirelogs.com, KFC 11 Herbs & Spices Firelogs are best experienced alongside a KFC $20 Fill Up. Next articleFire Rips Through Home on Dearborn Ave.